Pennybirds played daily one hour before the first session. Every VIP card holder gets 5 point daily for playing in our hall. 20 points can be exchanged for $1 computer coupon. 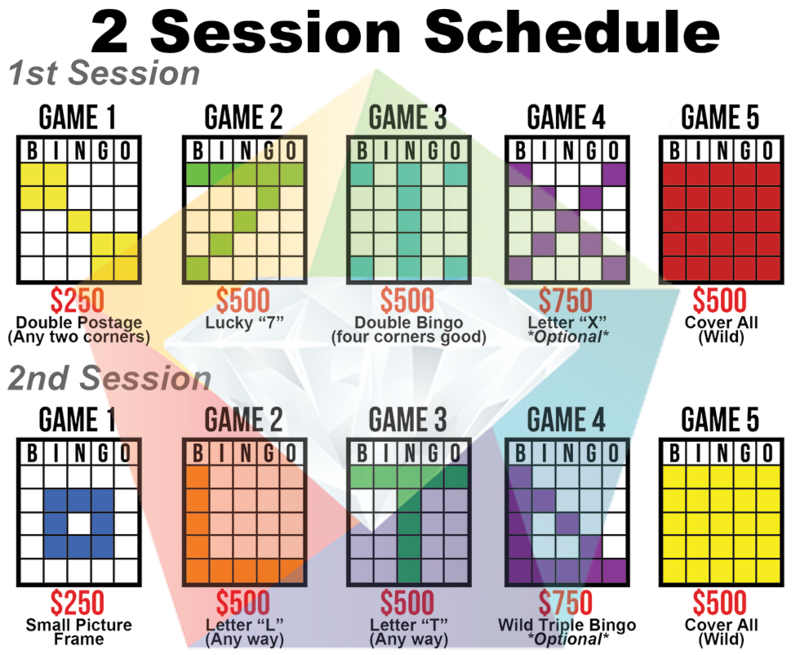 Electronic Bingo (Turbo Units) & Paper Bingo (12on, 18on & 24on) available every day. Multiple pull-tab games played every session. Daubers available for sale to use for paper bingo and pull-tab games. A full snack bar is available serving tacos, hamburgers, chips and sodas. We are a BYOB hall.